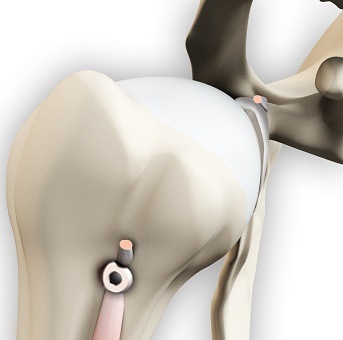 Arthroscopic biceps tenodesis is the suturing of the biceps tendon to the bone through very small incisions. It is often indicated in cases of full or partial biceps tendon tears, severe biceps tendinopathy, or biceps instability associated with rotator cuff tears. It may help prevent muscle spasm and scarring by re-establishing muscle length.